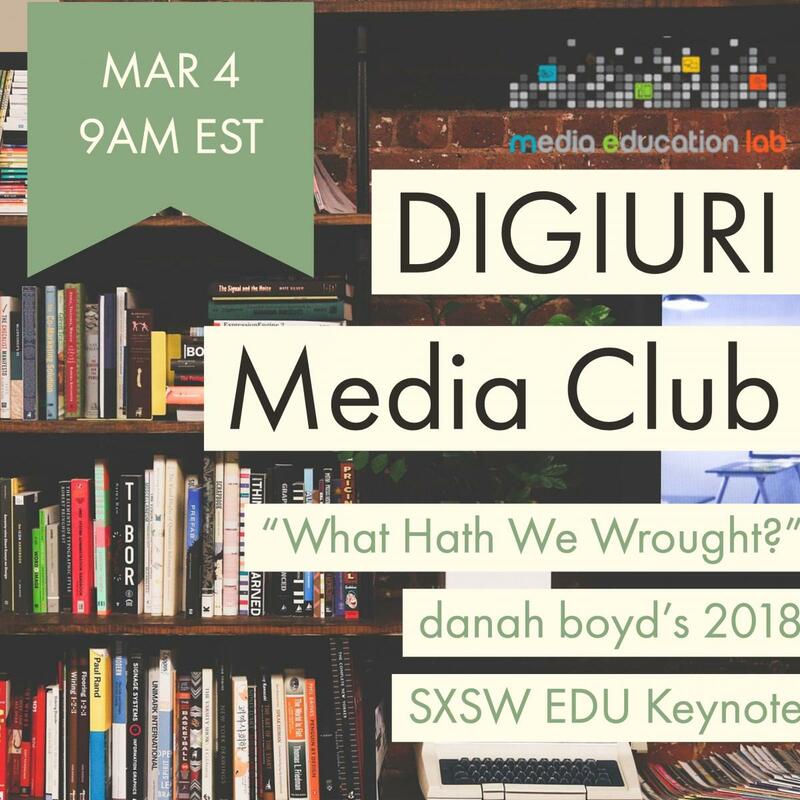 The DigiURI MEDIA CLUB is discussing danah boyd's SXSWEDU keynote speech from 2018, "What Hath We Wrought?" Missed the meeting? Watch the recording here! LOCATION: Online. Sign up for the club here.You will receive an email with details of how to join the video conference. Watch the video here or read the speech script. This hour-long speech explains danah's position that what we are teaching in news and media literacy may not be working in today's digital media environment. Here are some responses to the speech that you might find interesting after you've watched (or read) it: "Too Much Critical, Not Critical Enough" by Maha Bali of the American University in Cairo. In this blog post, Maha summarizes some of the responses from the media literacy and eduction community, particularly those of our very own Renee Hobbs and educator Benjamin Doxtdator. And, of course danah responded to the responses on her Medium: "A Few Responses to Criticism of My SXSW-Edu Keynote on Media Literacy"
The Media Education Lab at the University of Rhode Island advances media literacy education through research and community service. We emphasize interdisciplinary scholarship and practice that stands at the intersections of communication, media studies and education. The first problem of the media is posed by what does not get translated, or even published in the dominant political languages. Copyright © 2019, Media Education Lab, University of Rhode Island. All rights reserved.